Natasha Kyssa. Join SimplyRaw on Saturday February 5th from 2-4pm for aValentine’s Special raw food prep workshop. The class promises to be a fun, interactive way to learn how to make delicious foods that will tempt your palate & nourish your soul! Although we may never know the true identity and story behind the man named St. Valentine, this much is for certain: Valentine’s Day is considered to be the most romantic time of the year where lovers express and reaffirm their love for one another. It also ranks the second largest card-sending holiday. According to the Greeting Card Association, an estimated one billion mass produced valentine cards are sent each year! While the emphasis is placed on romantic cards, hearts and love, the majority of people show their affection with edible gifts that are not so “heart-healthy.” Sugary, high-calorie chocolates, candy, and other cholesterol-laden desserts are commonly exchanged between lovers, friends and family members as tokens of their love and appreciation. I find it ironic that we want our Valentines to be ours “forever” yet feed them harmful foods that play a role in heart disease, blood acidity, sugar spikes, candida, diabetes, and obesity. Shouldn’t we express our love with nurturing gifts that prolong – and not shorten – their lives? After all, how can anyone be happy if we don’t possess good health? Valentine’s Day is synonymous with chocolate and for many people, incomplete without indulging in something sinfully-rich. If you eat chocolate, why not choose one that is of better quality? One that is raw, dairy and sugar-free? Or better yet, use carob or raw cacao to create your own special mouth-watering treats made with love and healthy ingredients! Love is definitely in the air during the month of February and if you’re like most people, you’ll be celebrating at a fabulous restaurant over an extravagant meal, rich in atmosphere – and for non-vegans, cholesterol. This year, why not skip the crowded restaurant and surprise your sweetheart with your own romantic, full-course dinner at home? Nothing says love like a delicious, home-prepared meal, especially when followed with a dazzling raw dessert. All it takes is a little creativity and plenty of candlelight. As an added bonus, you won’t be compromising your health – or waistline! Greeting cards, edible treats and flowers aren’t the only gifts you can give. How about the gift of togetherness? It is, after all, the deep emotional connection between lovers and families that matter most on this day. Personally, I like to sneak off to the Gatineau Park to spend the afternoon snowshoeing with my husband Mark. For me, nothing comes close to warming up in the log cabin, and sharing a simple raw lunch after a good workout in the crisp, clean air. No matter how we celebrate, Valentine’s Day is an occasion to express our affection to the special people in our lives. And, giving healthy gifts show them just how much we care about them. After all, don’t we want our sweethearts to be around for a very long time? 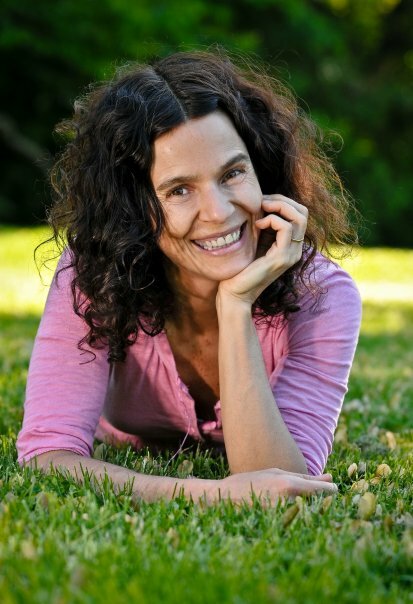 Natasha Kyssa is the author of “The SimplyRaw Living Foods Detox Manual,” and owner of SimplyRaw. She facilitates a life-changing detox program, and teaches delicious “Life In the Kitchen” food classes. See http://www.simplyraw.ca or call /(613)234-0806 for dates.